The continuous growth and expansion of the travel sector has brought about a greater need to understand and improve its various promotional tactics. Effectively employing these methods will benefit all manner of travel destinations and attract a larger number of tourists to these locations. 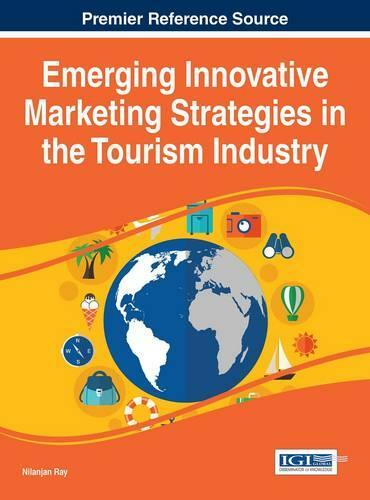 Emerging Innovative Marketing Strategies in the Tourism Industry is an authoritative title comprised of the latest scholarly research on effective promotional tools and practices within the tourism sector. Featuring expansive coverage on a variety of topics from the use of information technology and digital tools to tourist motivation and economic considerations, this publication is an essential reference source for students, researchers, and practitioners seeking research on the latest applications, models, and approaches for promotion in the travel industry. This publication features valuable, research-based chapters across a broad range of relevant topics including, but not limited to, consumer search behavior, customer relationship management, smart technologies, experiential tourist products, leisure services, national brand images, and employment generation.